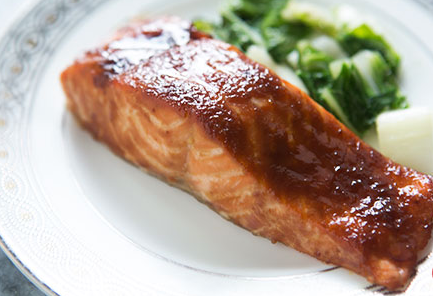 This is a simple but flavorful dish is easy..and it’s SOY FREE! 2. Adjust an oven rack 6 inches from the broiler element and heat the broiler. Line a broiler pan bottom with foil and top with a slotted broiler pan top. Remove the fish from the marinade, lay on the broiler pan top skin side down and spoon 1 tablespoon of the marinade out of the bag over each fillet; discard the remaining marinade.